While many of us have toyed with the thought of starting up our own nanobrewery, there are others who have taken the plunge. To find out who these people are and what makes them do what they do, Tom and I embarked on a series of interviews with regional nanobreweries to get their stories. As a follow-up to the first half of our interview with Grace and Chris Tkach, owners of Idle Hands Craft Ales, this post presents the conclusion of our conversation with the new nanobrewery. 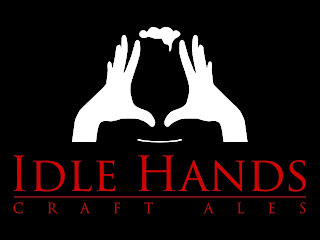 Idle Hands, which was founded in 2010, is planning to release its first beer before the summer of 2011. Lug Wrench (LW): Where did you get the inspiration for the beers you plan to commercialize? How did you pick your range of offerings? Idle Hands (IH): Chris has always had a fascination with Belgian beer and the concept of pairing beer and food. So the beers that we will produce will reflect those interests. As much as Chris loves hoppy IPAs, he does feel that the style has been a little overdone and wants to offer something a bit unique. We’ve decided to take the idea and turn it on its head a bit which was the inspiration for our first beer, Pandora, a hoppy Belgian pale ale. Pandora is not tongue-numbing bitter, but we think the citrusy characteristics of the late hop additions play wonderfully with the Belgian yeast. It is a beer that you can drink a lot of in one sitting yet still have taste buds left over for other (food) flavors. Other mainstay beers for Idle Hands originate from the homebrewed beers that Chris has made in the past - ones which have been well received in both competitions as well as with our friends. Our follow on beer to Pandora is called Brevity, a Belgian style Wit. The wit is one of Grace’s favorite beers and has always had a big following among our friends. It has been touted numerous times as ‘very refreshing’ and should be a nice option in late Spring/Summer. Beyond Pandora and Brevity, we are still working out which beers will be ‘usual suspects’ versus which will be ‘specialty’ beers. Among the options include a single or patersbier, a dubbel, a quad and a golden strong. There are also plans to start barrel aging and souring beers from the start and Chris may even resurrect the barleywine recipe he used for our wedding favor beer (Double Happiness) as a specialty player. We won’t stick strictly to Belgian beers either but we do hope to inspire the theme of beer-food pairings with each offering. LW: How do you plan to differentiate your beer from all the other offerings that are out there? IH: We are hoping that Idle Hands can capitalize on being local and offering a focused product line. Boston has a great beer culture and we are fortunate to have a great market for good beer. However, the one thing we believe the city lacks is a lot of “local” beer options. While there are many New England breweries starting up, there are few that really find their home in Boston. Additionally, many of the breweries that have started up offer a broad array of beers - many English style ales but very few Belgian options. In contrast, Idle Hands Craft Ales heavily leans towards Belgian styles for inspiration. Our plan is to focus on these styles of beers as our flagship and regular options, but we won’t rule out the occasional non-Belgian offering within our specialty line. We love Belgian beers because of their complex nature and how they help to bring out the flavors of food. This complementary nature of our beer with food is one of the key attributes that we are promoting. As we get established, we hope to place increasing emphasis on beer-food pairings. There are so many flavors in beer in general that work with a large variety of foods; our beers will offer such variety. While the beer and foodie communities are becoming more and more engaged in beer-food pairings, we know that the general public does not realize how synergistic the two are. In addition, there is an ever increasing movement around buying and sourcing local these days that we hope to capitalize upon. In particular, the “locavore” and “farm-to-table” movements are very strong in the Boston and surrounding metropolitan areas. Once we are able to get buy-in into such restaurants, our plan it to work with them to create unique beer pairings for their menu. Finally, we plan on highlighting recommended pairings on our website so that foodies and gastronomes can enjoy these options at home. LW: Looking forward, what are the biggest hurdles you see the brewing facing? IH: Today, our biggest hurdle is the actual brewery buildout. It has been a very long road, one which has taken much more time than we expected. We thought the Federal licensing process would be the limiting factor but we were wrong! We know the buildout is a temporary hurdle, but knowing we are licensed to brew already, it is emotionally draining that we cannot start yet. There are many nights that Chris wakes up thinking about the brewery and what’s still left to be done. On top of that, we’ve had restaurants and stores ask us when they can expect to purchase our beers. It is frustrating that we have the interest and cannot meet their requests yet. We just hope we don’t lose momentum. Once the brewery buildout is complete, our next hurdle will be sales and distribution. Since we are self-distributing and it is just the two of us who also have “day” jobs, our time for the brewery is limited to nights and weekends. Logistically speaking, it will be a challenge to offer samples and have conversations about Idle Hands and our beers with the individuals we need to in order to get to customers (i.e. restaurant owners, bar managers, beer buyers, etc.). We’ve already had some momentum on this front, but as most small business owners know, how do you continue this momentum and run the business at the same time - plus keep your day job! Finally, looking into the future, capital for expansion will be our next hurdle. Given the current market, banks are being very careful about lending money. We hope to have an established business and consumer demand which will help to build our case for a small business loan. LW: Is there anything else you think our readers might enjoy learning about you or your brewery? IH: A lot of people have commented on how much they like our logo. We’re really excited about it and in particular, the way it was developed. A friend of ours had suggested utilizing a crowdsourcing website, CrowdSpring.com, to get our logo developed. After putting together a comprehensive creative brief, we held a contest through this website to develop our logo. We received over 100 entries and after a two week period of critiquing the submissions, we were excited to select the winning logo after soliciting feedback from our Facebook fans. As a small business owner, you need to be resourceful about how you get things done. Developing our logo relied a lot on us knowing what we wanted to be, but it also enabled us to use the power of social media in getting something so important done. In the spirit of trying to keep things local, we have been aiming to keep our dollars in the community where possible. Also, we are making sustainable (green) choices in inputs and outputs to our business. Though we are far from our goal of always making local and sustainable choices, as we mature and grow, we will do so with these ideals in mind. LW: Lastly, our homebrewing readers always love a recipe – would you be willing to provide one for people to try? IH: Here is one of my all time favorite beers to brew and drink. It’s a Scottish 70/- that is brewed in the traditional sense; with no caramel malts. All of the caramel flavors are developed in the kettle and from the boil down of the first runnings. I’m sure that at some point this beer will show up as a specialty release because I love it so much. Using a step mash routine, mash in at 144F with 1.2 quarts/lb and rest for 20 minutes. Then raise the temp to 158F and rest for another 40 minutes or until conversion has completed. Mash out at 168F. Pull the first gallon of runnings into a separate pot and boil it down to less than 1 quart. This will create a light syrup filled with medium-light caramel flavors. While that 1st gallon is boiling down, continue the sparge. I use the rule of thumb of ½ gallon water per pound of grain for any additional water used in the mashing and sparging process. So if you’re using an infusion mash routine with this recipe the maximum amount of water you would use with your additional infusions and sparging is 3.5 gallons (~ 7lbs of grain * 0.5 gallons/lb = 3.5 gallons). Once you’ve finished sparging add any additional water to the kettle so that you start your boil with 6.75 gallons total. Boil for 90 minutes, adding the hops at 75 minutes and the boiled off first runnings when its been boiled down to the consistency of a light syrup (think warm pure maple syrup). Chill the wort to 62F and pitch the yeast (I prefer to create a small 1 liter starter for this beer). Ferment the beer at 65F for approximately 1 week or until fermentation has completed. Let the beer sit on the yeast for an additional 3-4 days after fermentation has completed so that the yeast will clean up any fermentation byproducts. Transfer the beer to a keg and cold condition for 2-3 weeks at 40F, carbonate to 2 ATMs and enjoy! 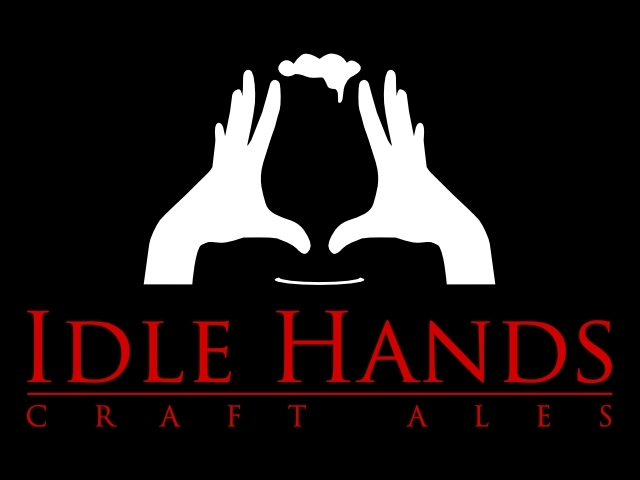 If you want to find out more about Idle Hands Craft Ales, check out their website, or better yet, if you are in Boston, stop by the brewery.